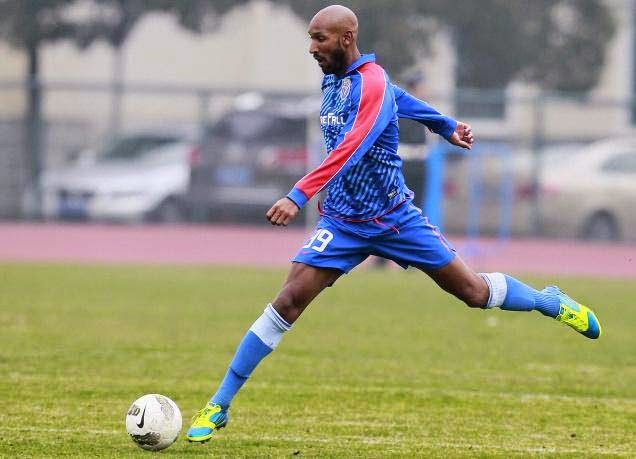 Anelka, who was without a club since March, due to behavior problems in England's West Bromwich Albion, said on his Twitter account being happy to play in the Indian football league. "I'm pleased to join Mumbai City FC & very exciting in joining Indian Super League." The Indian football team has some foreign players, including the Portuguese André Preto and Tiago Ribeiro, or German defender Manuel Friedric (former Borussia Dortmund and Bayer Leverkusen) and the Swedish Fredrik Ljungberg (former Arsenal). "Talented international players and the top players in India will present exciting games, I'm looking forward to play for the team," said the French player. Anelka, who has had a controversial career, due to his personality, has passed by clubs such as Paris Saint-Germain, Arsenal, Real Madrid, Chelsea, Liverpool or Manchester City. In French National Team has 69 caps and 14 goals, before being removed, with a punishment of 18 games following the conflict that took place in the 2010 World Cup in South Africa with coach Raymond Domenech.